the Standing Rock spiritual encampment. 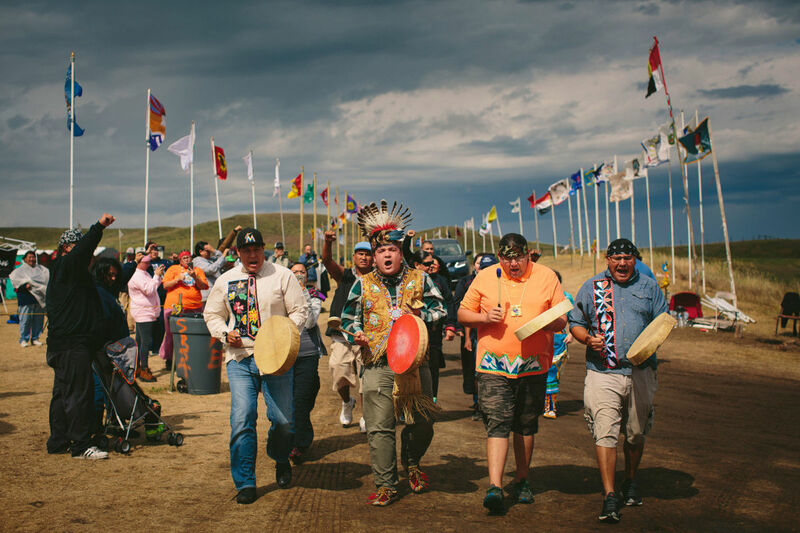 One of the most powerful assertions of Indigenous sovereignty, of disrupting climate change, and of protecting water and indigenous sacred sites has been taking place in North Dakota since April. And just this week things have taken a crucial turn. The Standing Rock Sioux tribe have for years been challenging the construction of the Dakota Access Pipeline. This year The Seven Council Fires united with more than 300 Indigenous nations from across the Americas to form an encampment in the path of the proposed pipeline. Thousands more non-native people are joining to support this powerful movement to defend the land and protect the waters. If built, the pipeline would carry a half-million of barrels of crude oil under the Missouri River daily, which means that a potential oil spill would threaten the eco-systems throughout the Missouri and Mississippi rivers and the 10 million people who depend on those rivers for drinking water and to irrigate the “nation’s breadbasket.” The proposed path also runs directly through indigenous sacred sites and burial grounds, some of which have already been destroyed in construction. If you have been waiting for a critical moment to support Standing Rock, the time is now. Last weekend police arrested 140 protectors. This week the Standing Rock Sioux Tribe enacted rights under an 1851 treaty granting sovereign control over the land designated for the pipeline. The pipeline is between 2-3 miles from this land and the camp. Journalists have been targeted for arrest. Leaders at the camps made this video to broadcast their international call to action: Warriors Wanted. There is an urgent call for people to send money and supplies, take local action, and, if possible, to go to the camp. Donate money and supplies to the main camp. Tomorrow (thursday) there is a national mobilization to pressure Hillary Clinton to support Standing Rock. Call in, email, or go to a local action. Spread the word by facebook, twitter, letters to the editor, share the information here and in the links provided. Find out if your state has agreed to send police reinforcements and organize against it if they are. 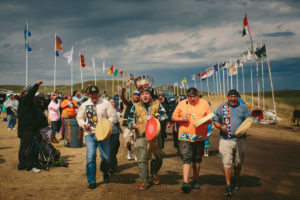 You can read more about this historical movement, the largest unification of Native Americans in decades, from the Indigenous Environmental Network, learn more about how to take action here, and get the latest news coverage from Democracy Now.